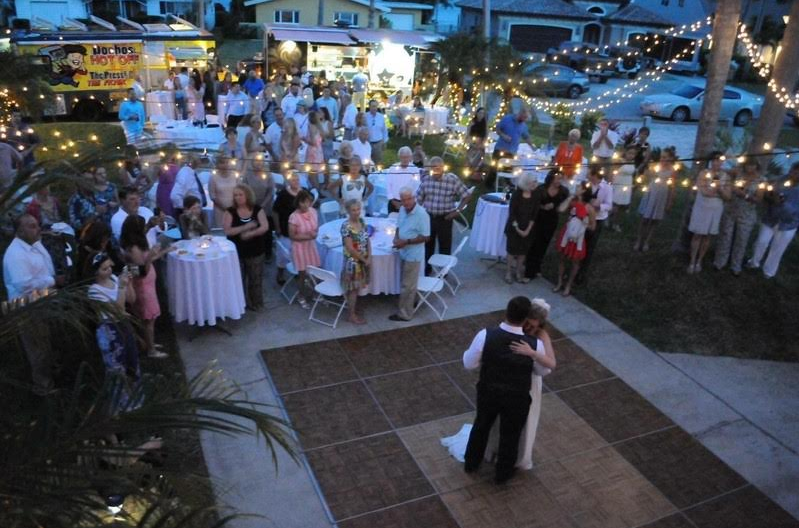 Need music and a DJ for an outdoor event in the Tampa Bay area? 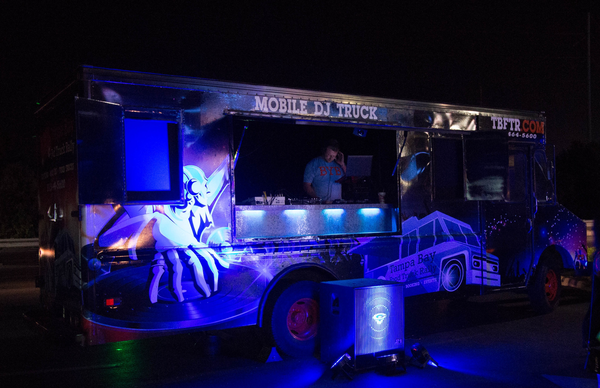 Our Mobile DJ Truck has you covered! Our mobile DJ truck has the ability to broadcast at large outdoor venues, corporate events, caterings, or your child's 5th birthday party in the backyard. 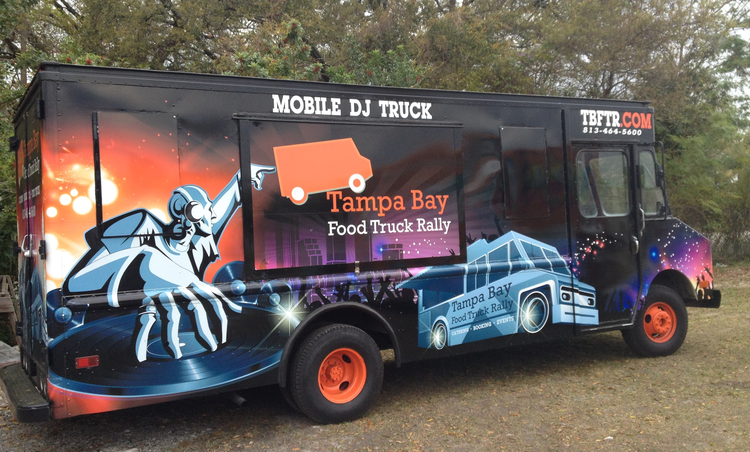 Tampa's Mobile DJ Truck service can meet the needs of any event you may be hosting. We've parked the DJ truck inside warehouses, venues, and outside homes, universities, and more! Our rockin' music machine is ready to provide on-the-go entertainment, making it easy for you to include music at your next event. We accommodate rallies, caterings, and parties. We can bring food trucks with us, or just awesome tunes if that's all you need! Already have a DJ? We can set 'em up on the truck! Call us at (813) 464-5600 or Contact Us today. Want to add a little extra fun to your event? Ask about our mobile dance floor or our table and chair rentals. Both are perfect additions to our Mobile DJ Truck package. With the tunes and dance floor we provide, you're ready for the party! Do you have an upcoming event and need music to make it a fabulous day?